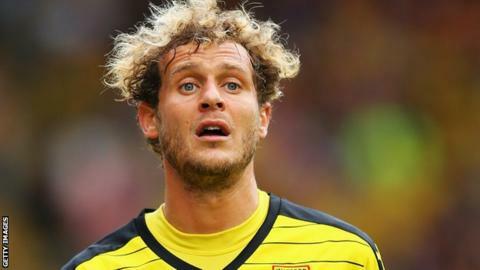 Watford loanee Alessandro Diamanti has joined Italian side Atalanta until the end of the season. The 32-year-old midfielder made just three substitute appearances for the Hornets after arriving in August. The ex-Italy international, who won 17 caps for the Azzurri, moved on loan from Chinese side Guangzhou Evergrande. International loans are recognised as regular transfers, meaning the player can be re-loaned as long as the deal stretches between two transfer windows. Diamanti, who spent the 2009-10 season at West Ham, has also previously played for Brescia, Bologna and Fiorentina.